DETROIT — Family members celebrated Aretha Franklin on what would have been the Queen of Soul's 77th birthday Monday with a memorial service and a screening of a documentary film. The service was held inside a chapel at Woodlawn Cemetery in Detroit. Franklin died last year after battling pancreatic cancer and was laid to rest inside a crypt not far from Woodlawn's chapel. "Our family thought it might be a good idea for us to start today the right way, in prayer," Franklin's niece Sabrina Owens said. "And ask for God's blessing on today as we go through these very exciting events of the day." 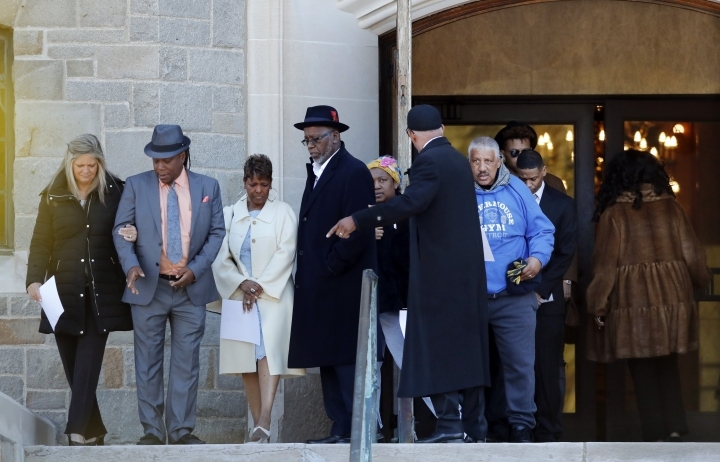 In addition to Owens, Franklin's sons Kecalf Franklin, Edward Franklin and Ted White Jr. were among those who attended the remembrance service, which focused not only on the legendary singer, but also other departed family members, including Aretha's father, the Rev. C.L. Franklin, and her brother Cecil Franklin, who also was a pastor. "It's always very emotional, mixed emotions, when I come here, because not only is my aunt here, but my mom is here. And my uncle Cecil," Owens said, adding: "I think about my life with them growing up and what each of them meant to me." The Rev. Edward Branch, a family friend and the senior pastor at Third New Hope Baptist Church in Detroit, presided over the service, saying he hoped the gathering would "heal their hearts and help them to focus on the brighter times and the greater memories that are behind." Later Monday, the Detroit Institute of Arts was to host the premiere of "Amazing Grace," which chronicles Franklin's 1972 performance at a Los Angeles church. Owens said the film will go into wider release next month. While the movie and the recent release of a boxed set of recordings from that performance are reasons to celebrate, the loss of her aunt still stings, Owens said. "Each day, it gets a little better," she said. "So, we just rely on our strength and that of our family and our friends and our support systems."